We received this letter from a patient of Dr. Guyer’s the other day and thought we would share. 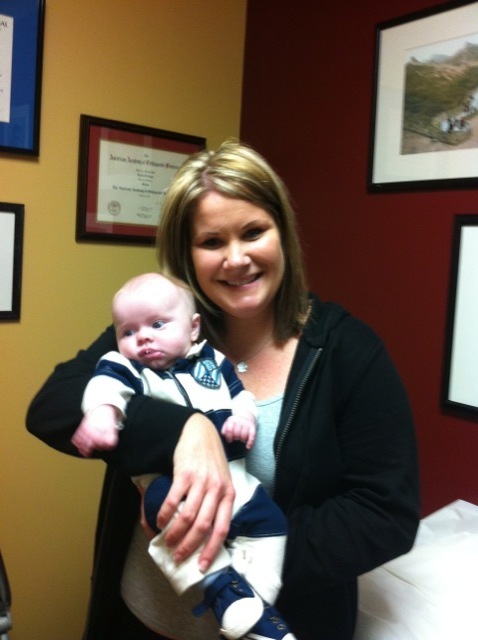 She had artificial disc replacement at her L5/S1 in 2010 after years of conservative treatment. I wanted to express my sincere and heart-felt thanks to you and your staff for helping me get back to living a normal, pain-free life after suffering intense, debilitating lower back pain for nearly 10 years. My pain was getting progressively worse, and at the young age of 44 I found myself unable to live a normal, quality life. Over time I was becoming more and more limited in what I could do without pain. Any kind of household tasks, exercise, playing with my children, gardening, grocery shopping, cooking, etc. was becoming unbearable. In fact, I started to live my life based on what I thought I could do without pain – and there became few options at all. 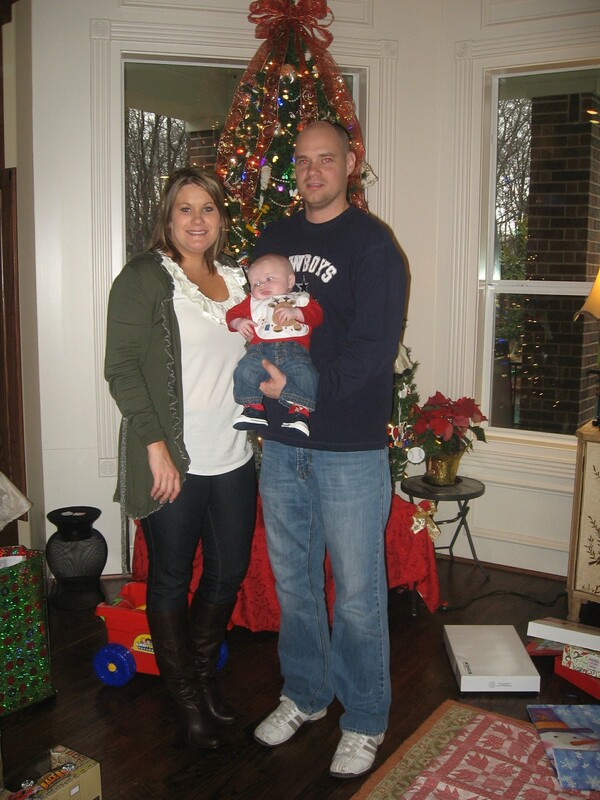 When I could no longer sleep without severe pain, I knew something had to change. I only regret I waited so long. 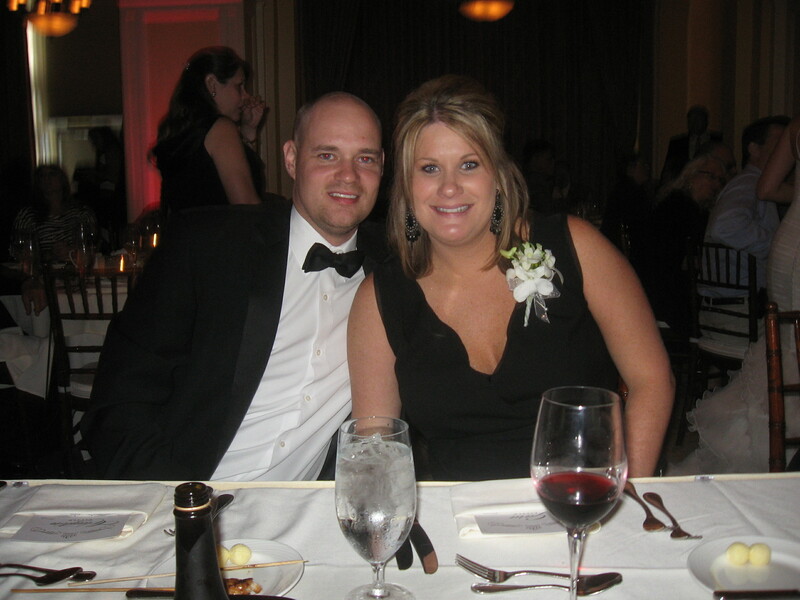 The artificial disc replacement surgery you performed has changed my life dramatically. I am now 100% pain-free and have returned to all normal activities just 8 months after surgery. Every day I think about how fortunate I am to have escaped the permanent, chronic pain I was living with. Thank you and your staff for helping me understand the procedure, and for the highest quality of patient care I received. I also appreciate the optimistic attitude you took with me, as well as the complete transparency when discussing with me the details of the procedure and giving me a sense of what the level of pain relief would be. You advised that given my age and condition I would have at a minimum a 50% decrease in pain and be able to return to about half the activities I did before, but that the possibility existed I could exceed that minimum. I was in such pain I would have been happy with the 50% improvement, and I am beyond delighted that I have achieved 100% relief. Living daily in pain for years is depressing and dark. I can’t tell you how nice it is to be free of that misery. Thank you for giving me my life back. 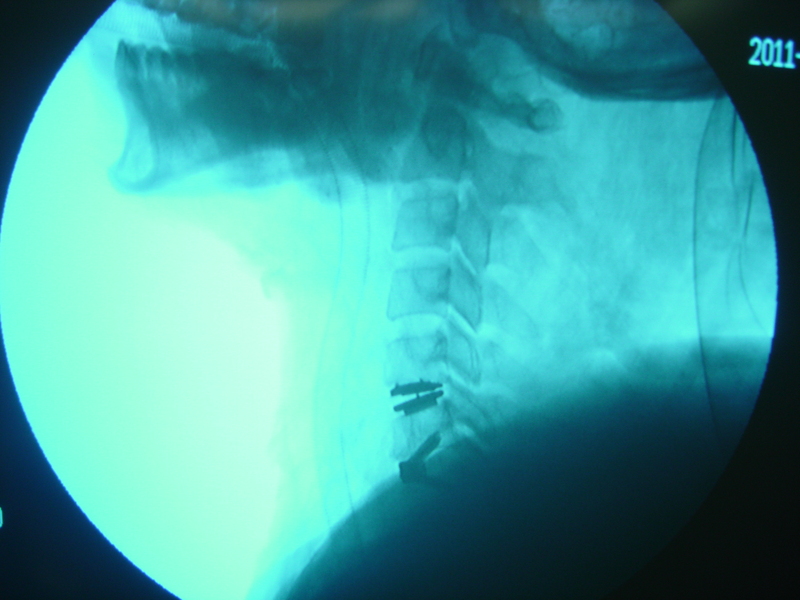 Have you been considering having artificial disc replacement or have you had it? Tell us your story! The first 2 patients of week had ankylosing spondylitis and a traumatic cervical HNP (Herniated Nucleas Palposus) with Brown-Sequard syndrome (loss of sensation and motor function). He is a candidate for an Anterior Cervical Fusion not Arthroplasty. I am seeing more cases this week and again more are cervical than lumbar. Getting used to clinics is easier than getting used to OR. In clinic the junior doctors do the H & P (history and physical exam) and present the patients and their studies. There are often 2 patients and their families in the consultation room at once. For lunch they bring in fast food particularly KFC with a Chinese twist. I am still doing dinners at night. Have not had a western dinner here yet. However, we have inserted a Korean and Japanese meal to mix things up. But get this, Shanghai has a Morton’s we are going to hit at the end of the week. Can’t wait for a western steak and a decent red wine. 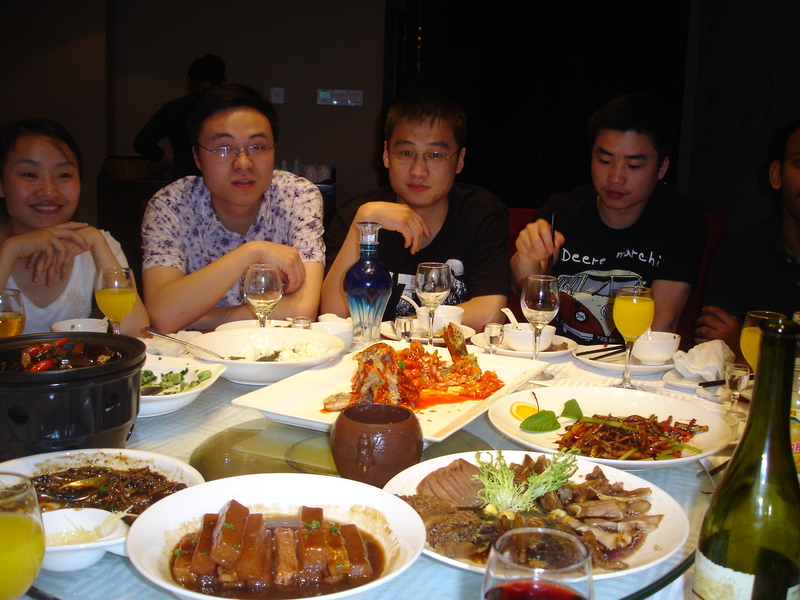 Dinner with the junior doctors. In summary, it takes a bit of adjustment but I do recommend the experience. 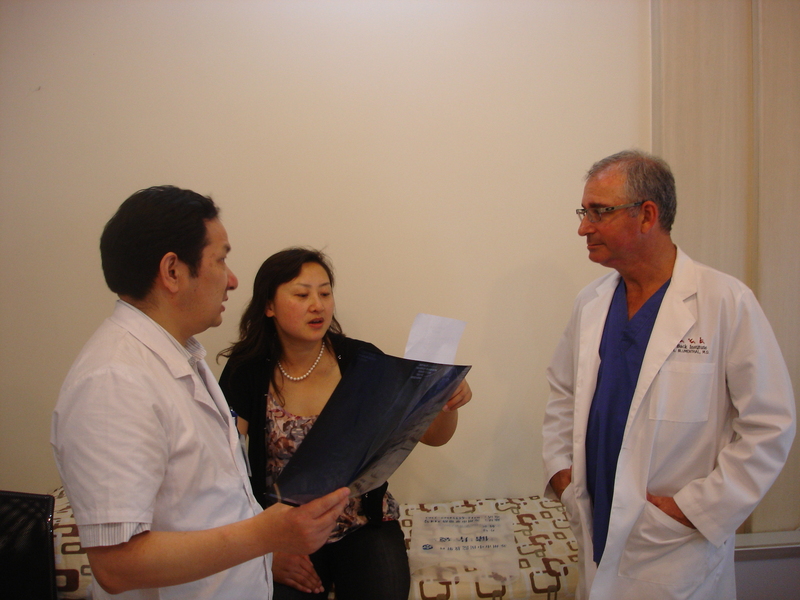 The language issue will make you more sympathetic when we have visiting Chinese surgeons. In clinic patients are patients and they still want to hear about options both surgical and non-surgical. China has an abundance of everything as you know….but for those who know me…there is not enough Purell! 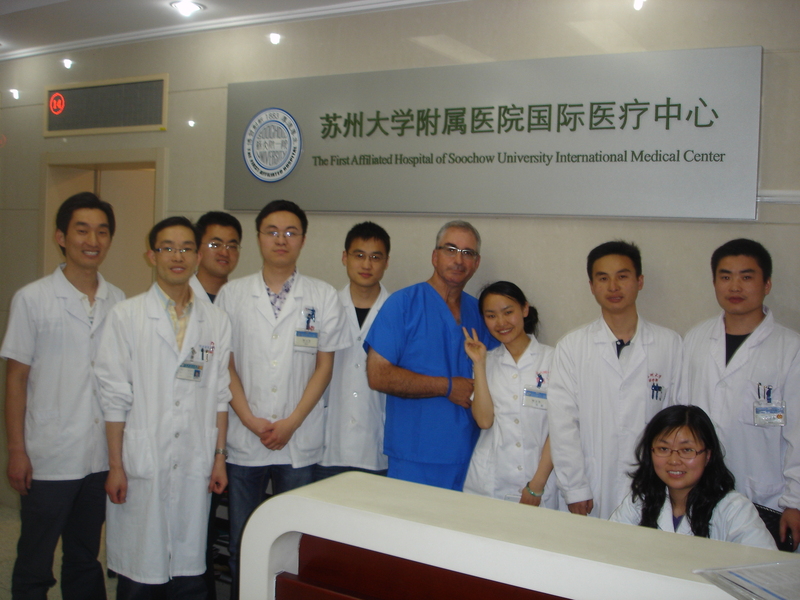 Dr. Blumenthal is in China for two weeks training Chinese physicians and performing surgeries. He has been updating us throughout his trip. This is a recap of his first week in his words….. The trip so far is anything but dull. I have learned that making any kind of plans is futile since the schedule (daily and overall) changes frequently. It looks like I will be in Suzhou the entire 2 week rotation. You do one clinic day for every surgery day. There were no patients teed up for surgery but they walk into clinic by droves. The junior doctors present the cases and x-rays, you see the patients then give an opinion. My first 2 patients had what I used to consider severe myelopathy but by the end of the day were the mildest cases. I saw tumors (including a grapefruit sized chondrosarcoma of the C spine) and pedi spine (a toticolis and a tethered cord)-they even snuck in a tibial tumor. The good news is that you only do the cases that you are comfortable with. Overall we saw about 40 patients and operating on 3 today. My first case was a C 3-4 fusion. The other is an ADR (Activ-C) and a discectomy. 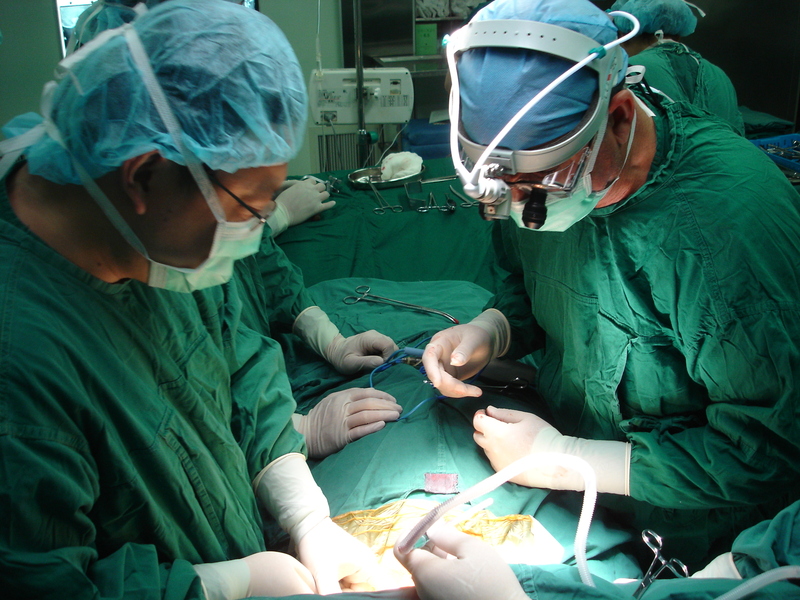 Operating is a challenge…Now add trying to ask for instruments in Mandarin. Having said that it is a great experience if you can go with the flow-its amazing how much surgery you can do with only a few instruments.